“That’s gonna be expensive. You’re gonna get it and then look at the pattern for a few months perhaps finally drumming up the courage to tarnish it sometime next November”. But, but just look at it! Is it art? Is it makeup? I don’t care… I want it! 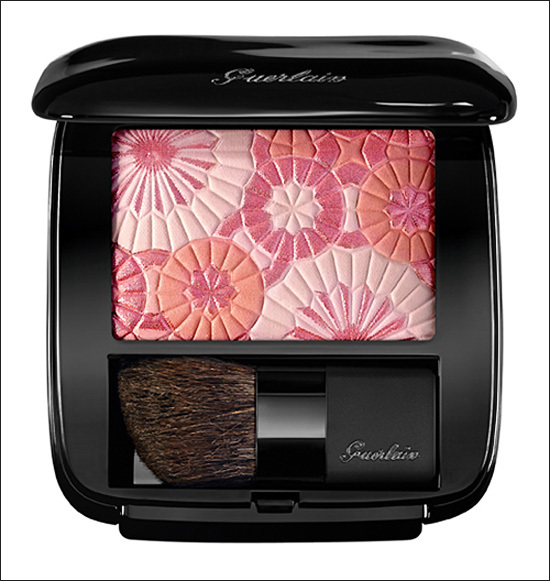 @Shifa – Guerlain are always tempting us with these little masterpieces aren’t they? I loved the Eastern European themed one last year aswell. @Dv – The Clinique ones are lovely… I think Clarins are bringing out a lovely one this Spring that is along the same lines. @Heather – the eyeshadow compact is to die for aswell! OMG, I need this blush in my life! @Janice – Beautiful isn’t it! It is lovely no doubt. But I wouldn’t buy it, purely because of the brush. I wish companies would stop putting a tiny little useless brush in blushes, bronzers and illuminators. Any powders actually. I’d much rather have more product and a cleaner looking compact, than a brush I’m just going to throw away. @Lucy – I suppose they must be useful for some or surely they wouldn’t keep adding them… but I agree with you, on a personal level… they’re a waste of time! its always a struggle to be such a artistic beauty product as it would feel that its so hard for you to use them on regular basis. So like you say, but them now and admire for months before finally use..
@Sizbelle – Would need to drum up the courage to start swiping! Oh that looks amazing! I want!!! Ha ha – yeah that’s too pretty to use… but it is awesome none the less.